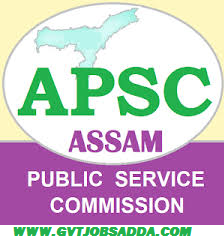 APSC Recruitment 2018 : Assam Public Service Commission (APSC) Has recently published latest government jobs recruitment APSC Recruitment 2018 under Assistant Engineer (Civil) 65 Posts. Those Candidates who are interested & eligible for Assistant Engineer (Civil) 65 Posts. Assam Public Service Commission invites application from Indian Citizens as defined in Articles 5 to 8 of the Constitution of India for the under-mentioned posts under Assam Government in the scale of pay as indicated below and carrying usual allowances as admissible under Rules of the Govt. of Assam. Name of Post : Assistant Engineer (Civil) under Water Resource Department. 1.For General Candidate : Rs.250/- (Rupees two hundred and fifty) only. 3. Candidates having BPL Certificate : Nil (Candidate having BPL certificate should produce photocopy of certificate along with the Application Form). By 3 years for OBC/MOBC candidates i.e upto 41 years as per Govt. Notification No. ABP. 6/2016/9 dated Dispur the 25th April 2018. A candidate must pass Bachelors Degree in Civil Engineering from an India or Foreign University recognized by the Government i.e recognized by A.I.C.T.E. (Attach self attested valid supporting documents). SCALE OF PAY : Rs. 30,000/- 110000/- (PB-4) with Grade pay of Rs. 12700/- plus other allowances as Admissible under the Rules. Application form may be obtained by downloading from the APSC’s websitewww.apsc.nic.in ( Application form DR).